Regular readers will know that we are all about gender equality in our house, and firmly believe that all toys and all colours should be available to, and encouraged to girls and boys. 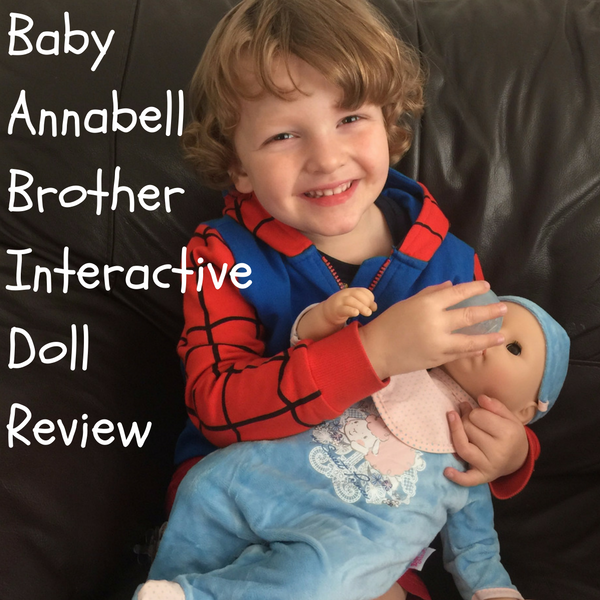 I was very happy to have been sent the gorgeous Baby Annabell Brother interactive doll to see what I thought of him. He is the most adorable doll, and straight away I wanted to call him Billy. My big sister Lea had Baby Annabell as her very first doll when she was two (she is nearly seventeen now!) so Mummy is very familiar with the dolls from Zapf Creations. 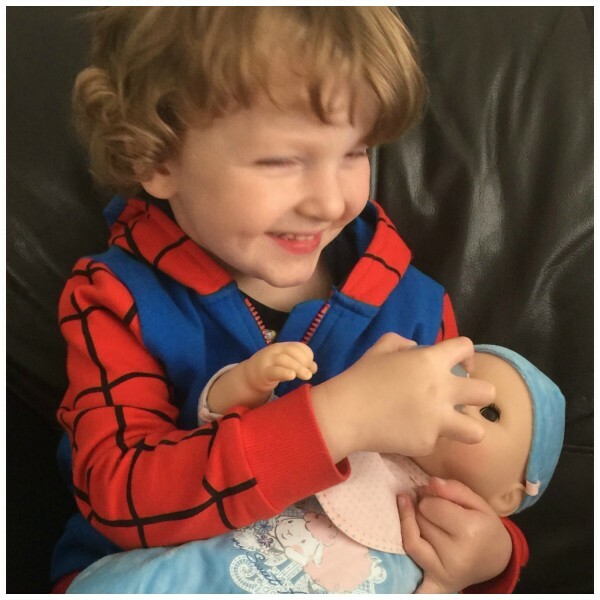 Little girls and boys aged 3 – 7 years will love Baby Annabell Brother as he is arrives in a super soft baby gro and hat with his own bib, bottle, dummy and charm. When I cuddle Baby Annabell Brother in my arms he closes his little eyes and falls asleep. I can hear him breathing and lightly snoring! When he wakes up, he is hungry and if I give him his bottle he moves his eyes and mouth whilst he drinks – just like a real baby! When I stroke his cheek or gently pat his back, he moves around to show me how much he likes it, and that makes me feel happy. 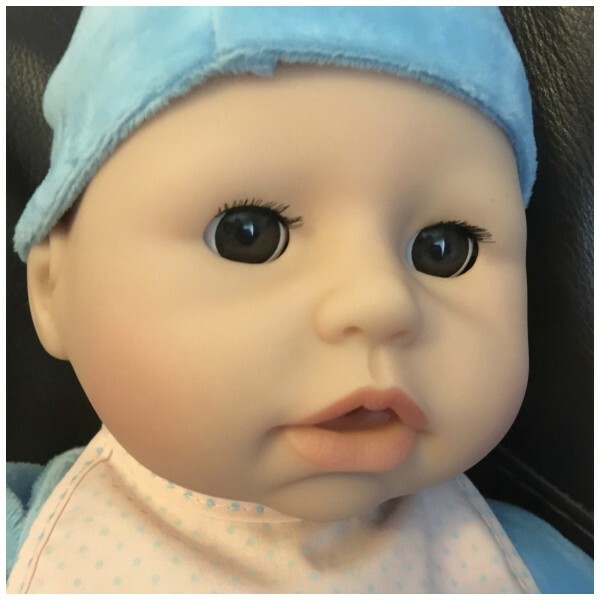 Billy makes realistic babbling, giggling, sucking and burping sounds, just as a real baby does and I love looking after him. Billy does cry, and he cries real tears too, but I don’t worry, I just pop his dummy in his mouth and he is soon soothed and happy again. 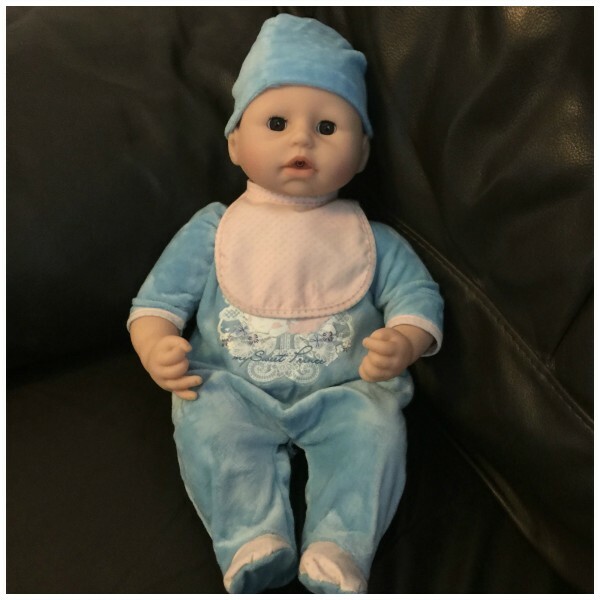 I love my Baby Annabell Brother, he costs around £49.99 and needs 4 x AA batteries which aren’t included. 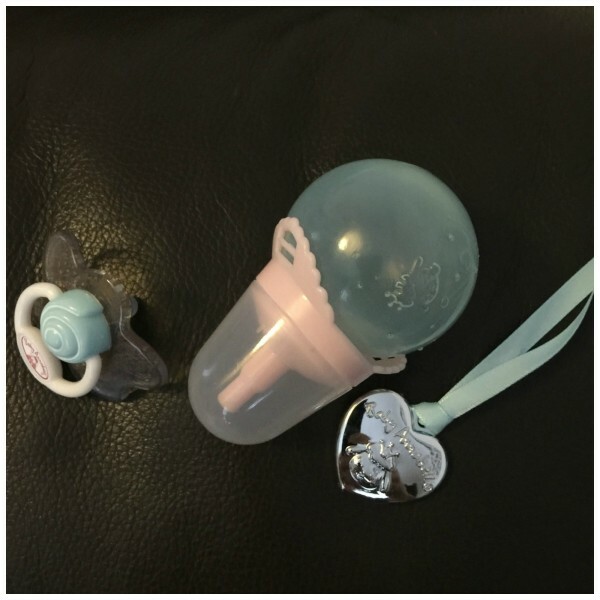 He is a perfect gift idea for any tot, and we think is a lovely idea for a little one if their Mummy is having a baby brother too! 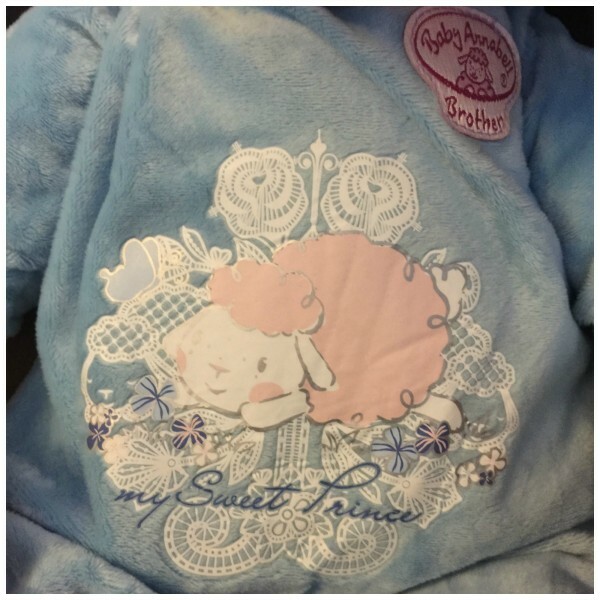 It is so lovely to see a baby boy doll, we would now love to see a clothing and furniture range for him too! My son had a doll when he was about two years old and as he got a bit older. He is 21 now and I feel it helped to forge him to being the perfect big brother when he was 16 and his baby sister was born. I’m 20 but I’m completely in love with this doll and I want one for myself! It would also be perfect for my little cousins. I really like the ethic of your family, there should be more people like you, educating youth like this will make a huge difference. That’s great, it sounds brilliant for any child who likes this style of doll. And it’s so heart-warming to read about the kids in your family being encouraged to be themselves regardless of gender <3.